The DRA operates under the guidelines of IRS 501 (c)(3) organizations. Prospective members must be sponsored by a current member in good standing. All applicants must ride an American V-Twin motorcycle and provide evidence of California motorcycle license and insurance. Application fee for a Regular Membership is $75 ($40 for annual Regular Membership and $35 for Patch), along with a Notification and Authorization to release criminal information for Membership purposes ($75 Non- refundable each). A Regular Membership and 2-Up (Passenger) is $135 ($40 for annual Regular Membership, $25 for 2-Up (Passenger) and two (2) Patches, $35 each, along with a Notification and Authorization to release criminal information for Membership purposes, ($75 Non-refundable each). 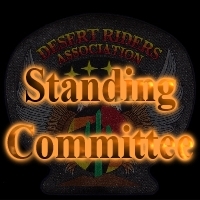 Upon completion of membership requirements, new member will receive Club patch and agree to return same upon separation from the DRA. Annual renewal dues are $40.00 for single and $65.00 for a 2-up membership. 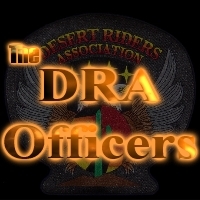 Businesses who wish to be associate members of the DRA and be listed on the DRA website may apply and pay an annual fee of $180. 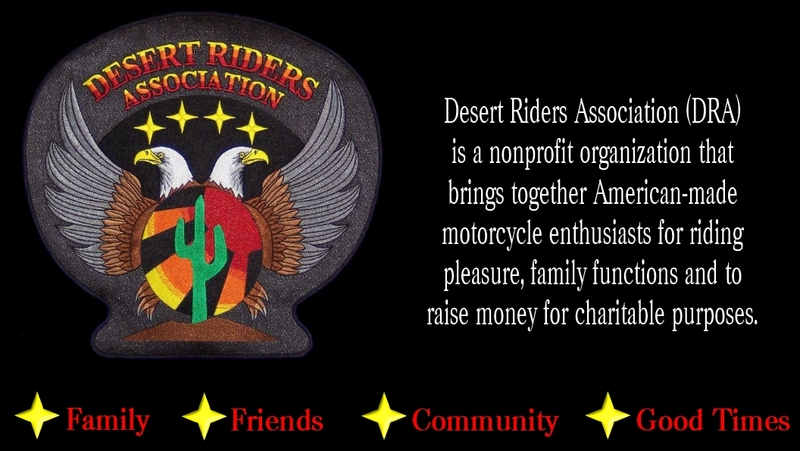 The DRA puts on a number of Club rides and events throughout the year with the intent of raising awareness of motorcycling and raising funds for charitable purposes. The DRA is committed to the 4 points on it’s logo. 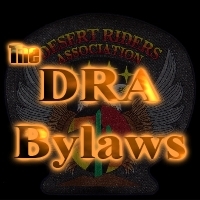 Donations made to the DRA are tax deductible. Recreational activities enjoyed by the members are paid for exclusively by the members. The DRA has no political affiliation or ties. We support The rights of every American. We especially honor those who have fought and died so that we may enjoy our freedom.